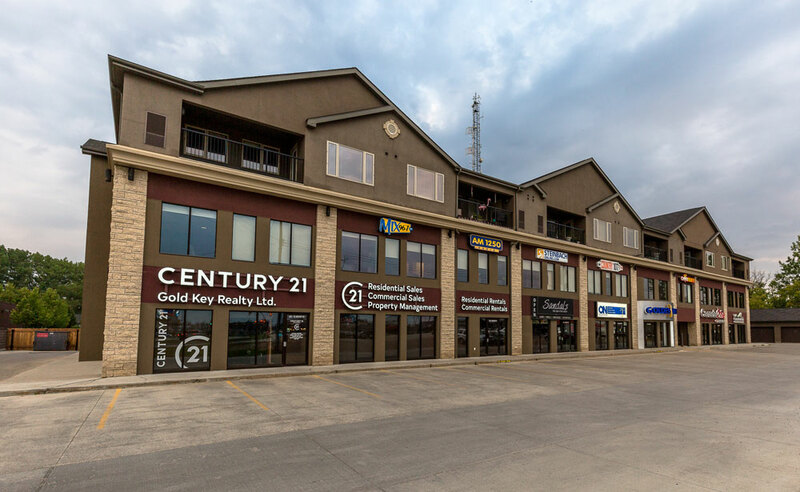 For many years, the South West corner of Highway 12 and Main Street in Steinbach stood empty and it took a local realtor's vision to develop this land into a well-thought-out building. 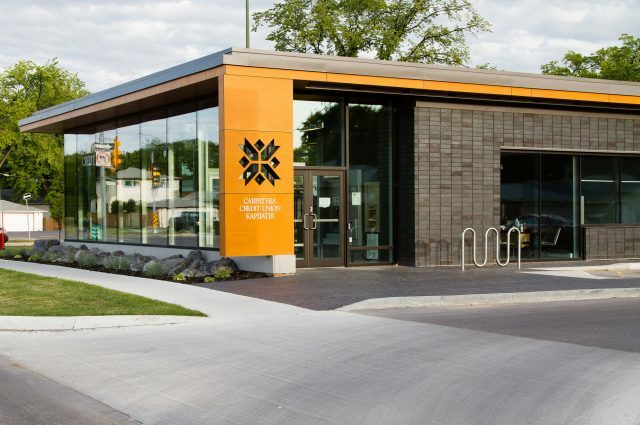 In 2005, Waldo Neustaedter approached Three Way Builders with an idea, which was then developed into a three-story building with an acrylic stucco and native Manitoba Tyndall stone for a maintenance-free exterior finish. 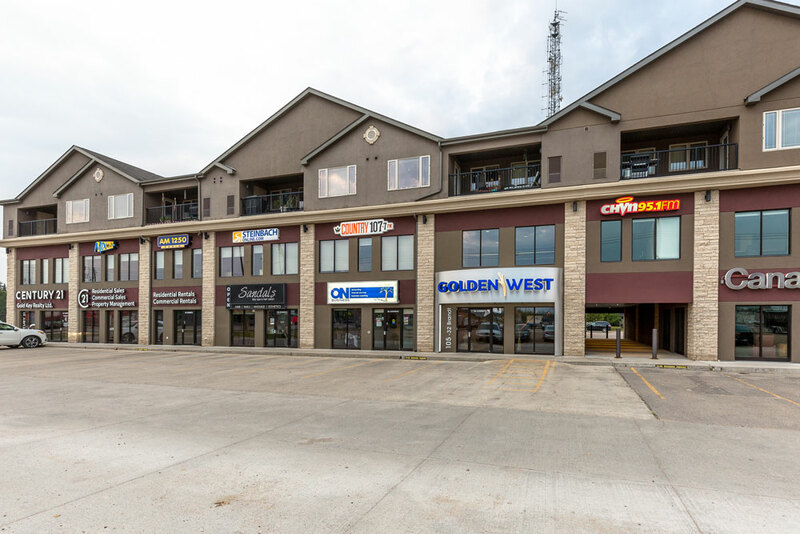 The building incorporated retail, office, and residential spaces, which was a concept new to Steinbach. 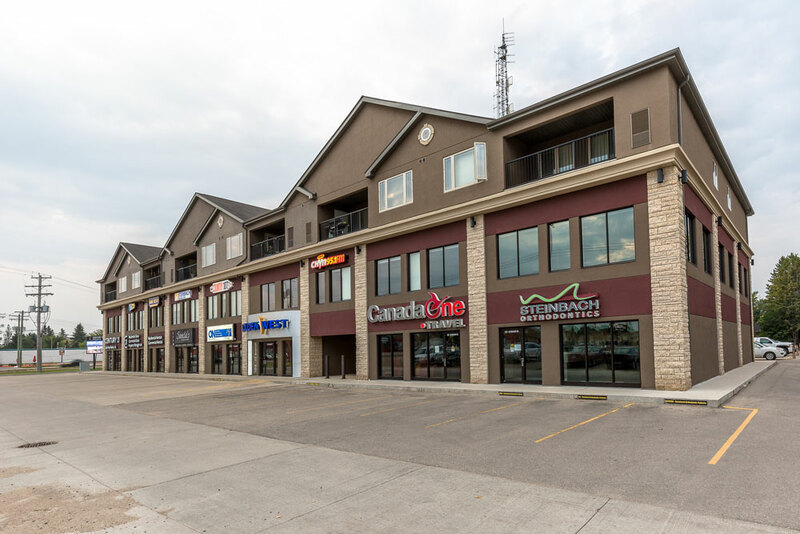 Three Way Builders Ltd. not only constructed the building but was also the contractor for the tenant improvements for the first and second floors. 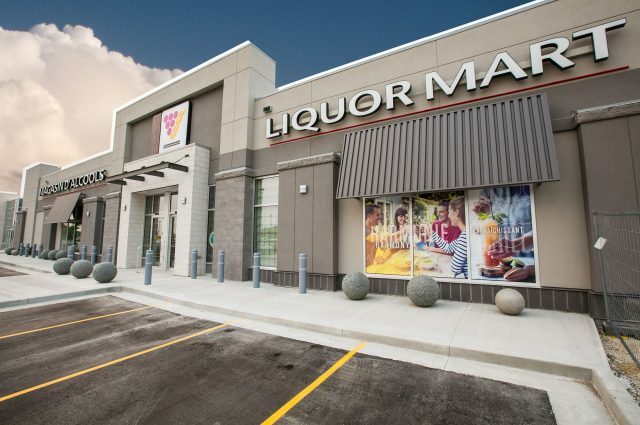 A couple of years later, Walrus Properties hired Three Way Builders again as the General Contractor for a 4,092 sqft, three-story addition, along with a 3,108 sqft, stand-alone garage. 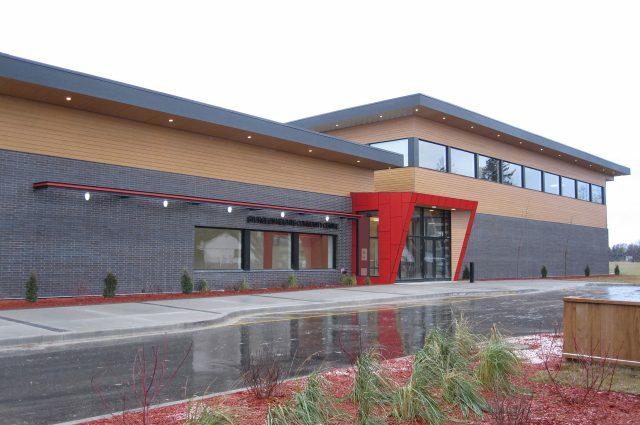 The addition features a large stucco cornice at the third floor.